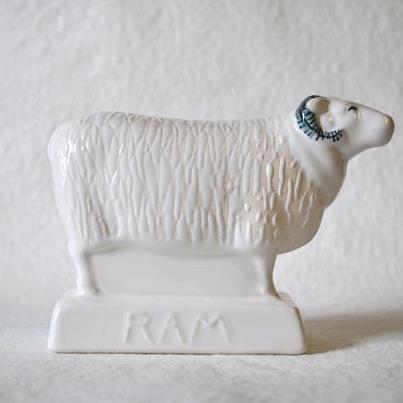 This elegant new colourway for Rye Pottery sees our “Sheep”, the Ram & Ewe, alongside the Billy & Nanny Goats sporting glossy, white textured coats accompanied by soft charcoal faces and detailing. Our classic Ducks are also available as part of the All White Collection, as well as the timeless ceramic Owls, originally modelled by our post-war co-founder Wally Cole. As ever each individual piece is hand-made using traditional slip-casting techniques and then hand-painted, decorated and initialled by our talented paintresses. Click on the links above to see them all in more detail. There are plans afoot to extend this range, so watch this space. 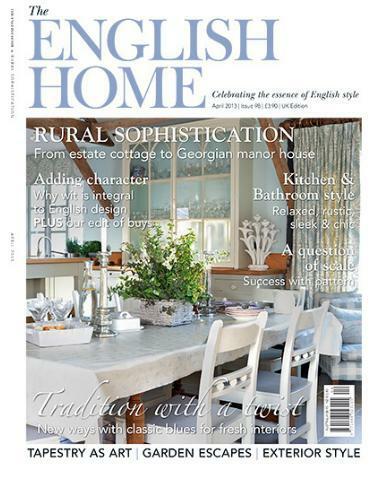 Many of our customers are English countryside lovers, with a fair few involved in the land one way or another. 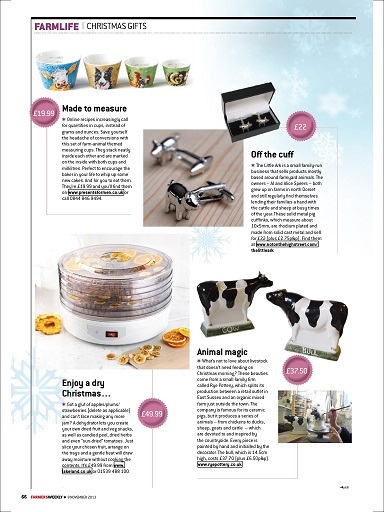 So it’s a huge compliment for us that the Friesian version of our Bull & Cow have been chosen for the Farmers Weekly annual Christmas Gift Guide. The Bull & Cow part of our English Animals Collection and are also available in other colourways, including soft Jersey or Sussex, which are painted in our classic Chestnut Brown. Click this link to see the full range of our hand-painted animals. Jade & Pink and Fabulous Cockatoos! 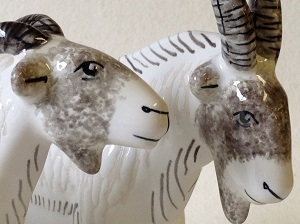 Ok, so we’re singing our own trumpet, but if we didn’t love them, well, we wouldn’t decide to include them formally in the Rye Pottery Exotic Animals Collection now would we? So, new for Autumn/Winter 2013, we’d officially like to introduce our new colourway for our Cockatoos – Jade with Pink Wing or, Pink with Jade Wing. Like all our animals, while these are sold singly, we think they’re great fun as a “Mismatched Pair”. And of course they’re still available in Charcoal & Radiccio too. To celebrate Wild Boar Week in Rye, we have produced a limited edition run of our famous Sussex Pig – “The Sussex Boar”. This new design has been hand-decorated in an exclusive colourway and the head features a unique pair of painted tusks. Each of this small batch will be numbered and signed by the paintress. 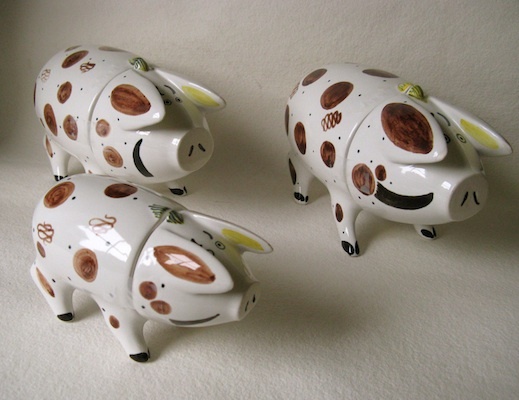 Extremely popular as both a collectors item and as a traditional Wedding present, Sussex Pigs have been hand-made in Rye for more than 200 hundred years. We love Wild Boar Week and are expecting restaurants in Rye to come up with even more delicious dishes this year. So, to support this popular event we are offering one lucky person the chance to win a Sussex Boar by voting for their favourite dish via the contact form below. To tell us your favourite dish from Wild Boar Week in Rye – fill in the contact form below. Please be sure tell us the tastiest dish and importantly at which Rye restaurant you enjoyed it – the restaurant with the most votes will receive a certificate from Wild Boar Week organisers. His Royal Highness Prince George of Cambridge – A great name choice from our perspective. Not only was it on our list of favourites, but it’s also short, which from a potting, lettering, design perspective is a jolly useful thing indeed! So that means our beautiful hand-thrown tankards are now available. Our long-term collectors will spot that this latest Rye Pottery Royal Tankard features a design based on the pieces we produced to mark Prince William’s own birth back in 1982. Our Prince George Tankards feature our two most popular colourways for our Royal Commemorative pieces – Cobalt Blue and Blue Green. 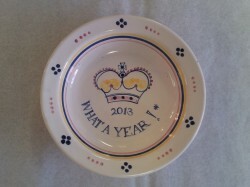 Do let us know soon if you would like to order one or if you pop into our shop in Rye you might even pick up a second. Having said that our seconds don’t hang around long. Back in 1982, William’s maternal grandmother – Princess Diana’s mum – bought a second from our London shop in Connaught Street. 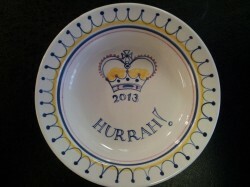 So you see, it’s official, Rye Pottery seconds are fit even for a (future) king! We all send The Duke and Duchess of Cambridge our best wishes on the birth of their first son – The Prince of Cambridge. But please may we beg the happy parents not to keep us all waiting too long to hear what he is to be called. We – alongside countless other British companies around the country – are all waiting primed and ready to fire our hand-made and hand-decorated commemorative ceramic tankards in the kiln, but, when, and only when, they reveal the last piece of the puzzle. Like many other British firms, we have the additional problem of summer holidays, as if they delay the naming for too long some of our talented but small team will be away on their well earned holidays. HM the Queen was not the only person wanting everything to be sorted before the holidays arrived! In the hope of being as prepared as possible we’ve worked through a host of different designs to allow for different months, long names, short names and so on. Not that it’s useful to anyone but privately some of us reckon it won’t be a Richard (pre-Tudor), or even a William (too close to his dad), and definitely not Cnut! But we quite fancy George or possibly Albert. If it was a girl we were quite sure Alexandra, Elizabeth or Victoria had a very good chance – but alas, that’s for the next one, and fortunately our business is making pottery not bookmaking! 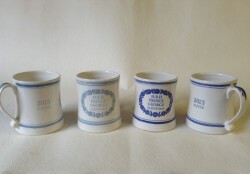 Our hand-thrown tankards will be produced just as they were when Prince William was born back in 1982. 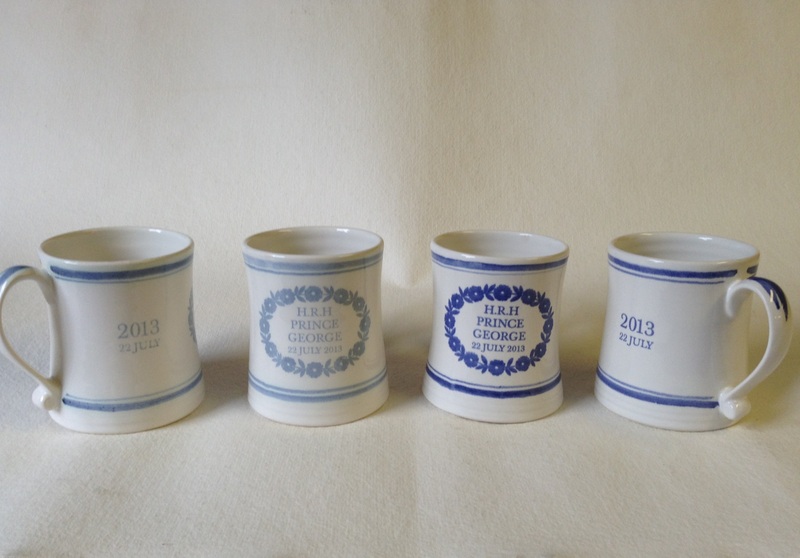 Featuring the two most popular colourways for our Royal Commemorative pieces, Cobalt Blue and Blue Green, these charming little mugs will be decorated with hand-printed (not digital) transfers and additional hand-painted banding. 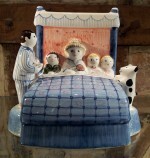 All very traditional and quintessentially Rye Pottery. The waiting list for these limited edition tankards commemorating the Birth of the Prince of Cambridge is already growing from our band of dedicated collectors, so do let us know soon if you would like one. The mugs are £18.00 each plus p&p. As soon as we have a name we’ll hope to provide a sneak peak here of the design. 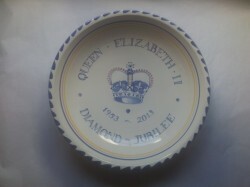 This year to mark the 60th anniversary of the Queen’s Coronation we have produced a very limited number of hand-made and hand-painted bowls and tankards. June Woolley, who started work as a 15 year-old in 1953 and still comes in voluntarily to act as archivist and layout magician for us, painted some of the pots and bowls while Julie Catt, who came out of retirement to help us, has also produced one or two pieces not least the striking 12-inch bowl featured here. We are planning to make a small transfer mug for William and Kate’s new baby when he or she finally makes an appearance; the timing looks as if it should coincide with the special Coronation weekend of celebration in mid July, which means we will hope to manage two Royal windows through the summer. 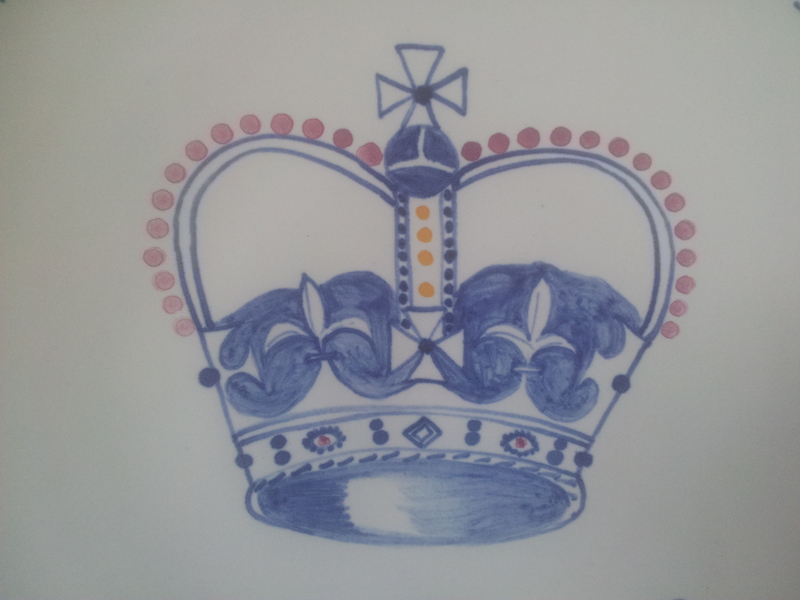 Searching for display material to help decorate our Shop Window here in Rye has produced all sorts of royal memorabilia. Tarquin, who was still in the Navy back in 1953, won 2 tickets to watch the whole procession from a very comfortable spot within Admiralty Arch. All of which means we’ve had several newspapers from the period stashed away as well as 2 copies of the Official Programme. We’ve also saved a wonderfully evocative 1953 edition of British Vogue. Do come and have a look at our window if you’re passing. 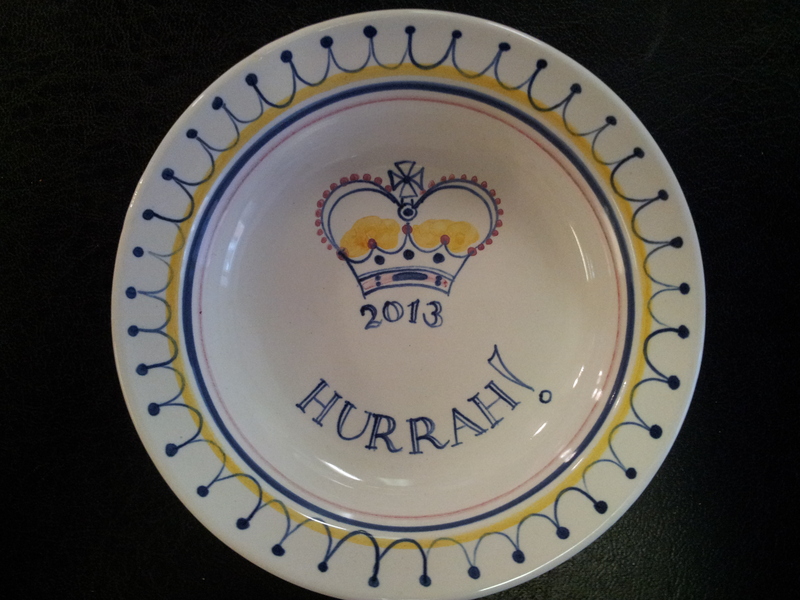 Rye Pottery is delighted to share in the 260th year celebrations for Rye Cricket Club. There’s a whole season of events, not least the First Team hosting a special match against the LASHINGS WORLD XI on May 26th at 2.30pm on the Rye Cricket Salts. We are very pleased that one of the prizes at this important fixture will be the presentation of a Rye Pottery Cricketer – The Rye Bowler – James William Lillywhite. As aficionados will know, he not only played for Sussex and England but Rye as well. Hence the fact that we paint him wearing the Rye Club colours! He was also one of the founders of the famous Lillywhites Sports store in Piccadilly. 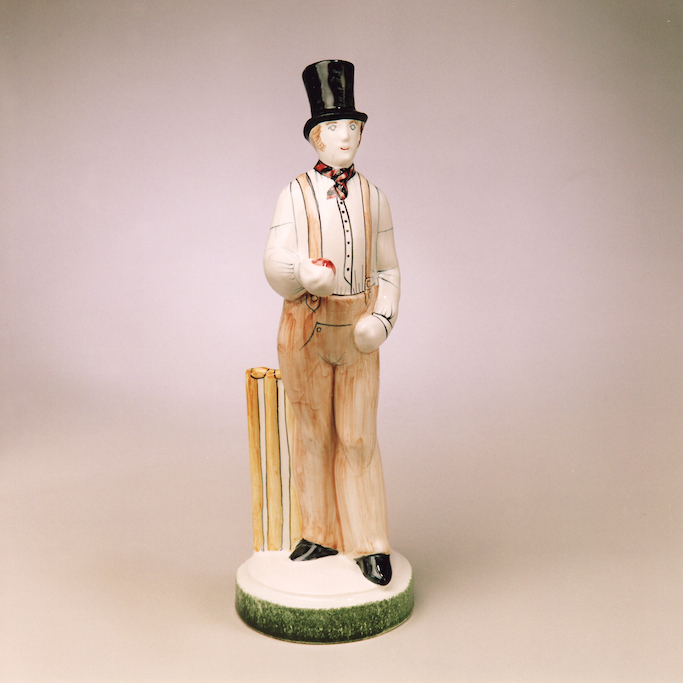 The figure will be presented to the Man of the Match – but will it be a big-hitting former superstar or a local Rye hero?! The internationally renowned LASHINGS XI always produce a very entertaining and exciting day’s cricket. The Harlem Globetrotter’s of the cricket world are picked from a squad of past & present greats – expect to see a host of star names including West Indian legend Gordon Greenidge plus Phil Defreitas, John Embury, John Lever, Saqlain Mushtaq and Yasir Arafat amongst others. With a hosted lunch event in a marquee from 11.30 and live music after the game this promises to be a day not to miss. If you are coming to see us in Rye, why not double up and catch some top class cricket too? Play starts at 2.30. Rye Art Gallery has a wonderful exhibition on at the moment featuring the work of printmaker Norman Ackroyd RA. Entitled The Furthest Lands – A journey round the British Isles, the exhibition runs until 30th June and is well worth a visit, with cheque book in hand! We’re also very pleased to say that running alongside the main exhibition, Gallery 5 is featuring work from its permanent collection by renowned 20th century British painter Edward Burra and Rye Pottery’s own post-war co-founder, sculptor and potter Wally Cole. 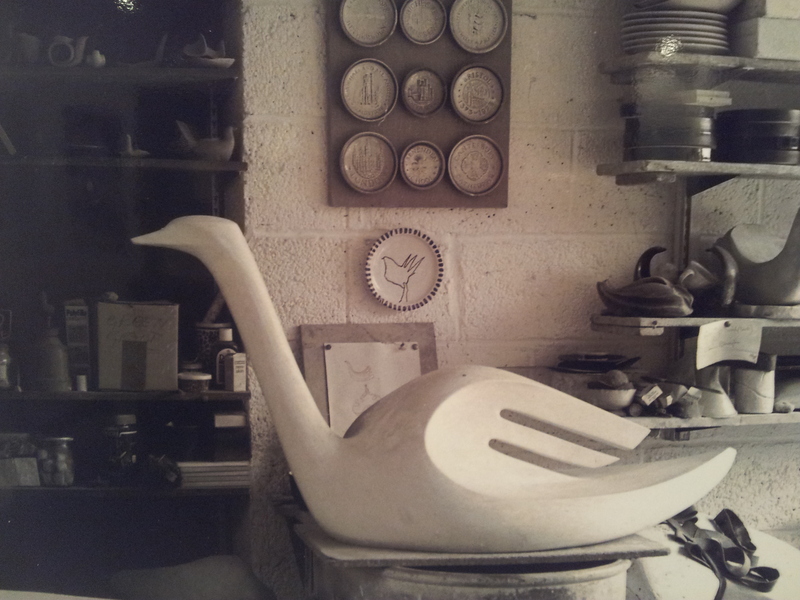 Celebrating what would have been the Centenary of Wally’s birth in 1913, the show features Wally’s striking sculpture “Swan”, which the Cole family donated to the Rye Art Gallery’s Permanent Collection. 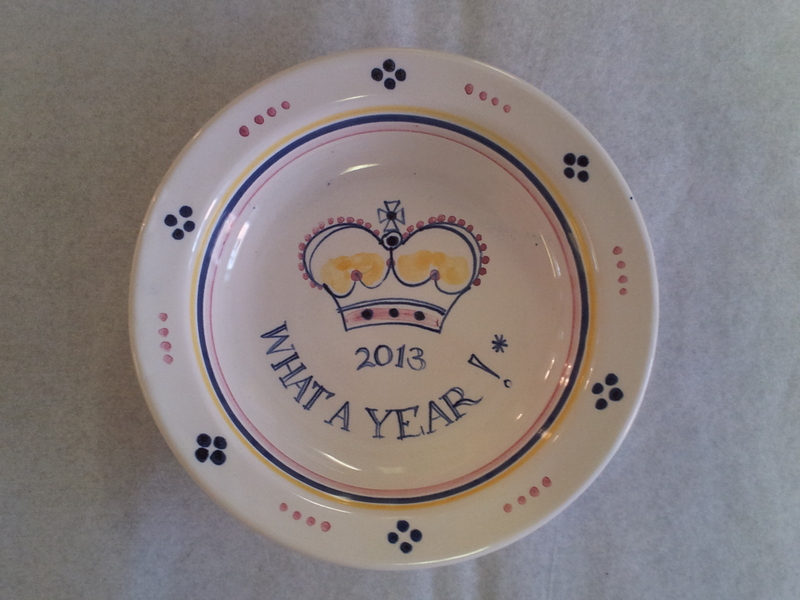 There are a handful of other examples of Wally’s work on show at the moment, not least a powerful studio ceramic bowl which is on loan from painter David Crew. Wally was a regular exhibitor at the gallery during his lifetime and since his death in 1999 the gallery has also staged a number of retrospectives there too. Do take a look at all the work on show at Rye Art Gallery whenever you’re visiting, there’s always a tempting array of contemporary arts and crafts to be seen and bought as well as work on show from the gallery’s permanent collection. 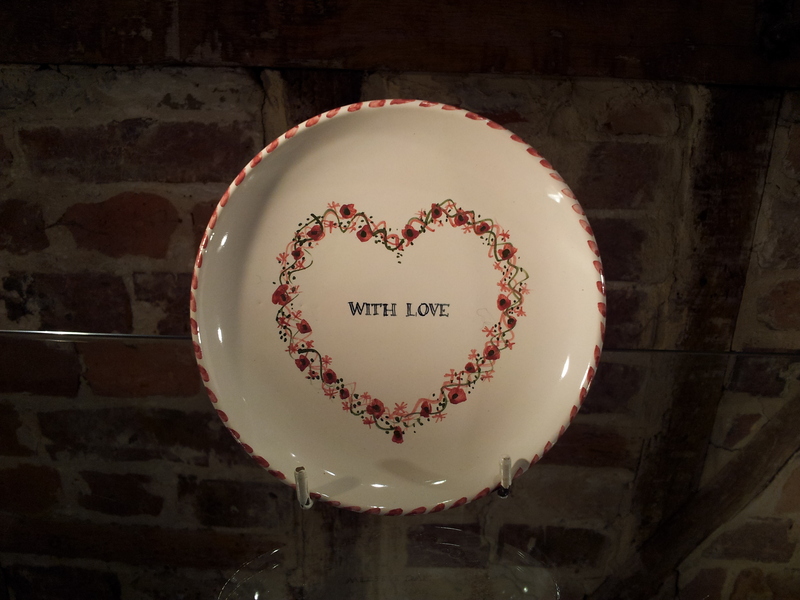 Find out more on the Rye Art Gallery website here. 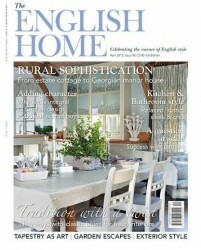 We’ve belatedly spotted a lovely shot of our Rye Vixen in the April edition of The English Home magazine. 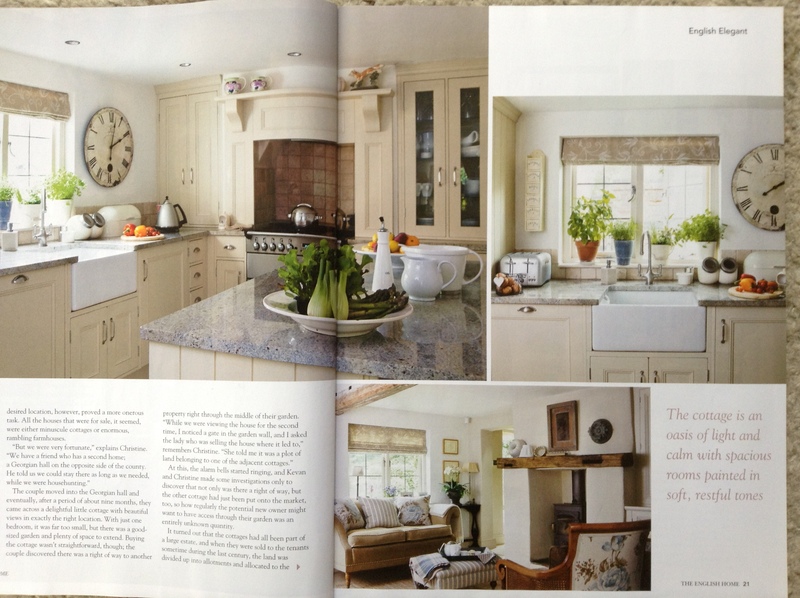 Our popular ceramic foxy lady makes an appearance in a feature about Christine and Kevan Stevenson’s charming cottage in the heart of Derbyshire’s Peak District. With the help of architect and local builders, the couple spent months combing two cottages and adding an extension, to charming effect. 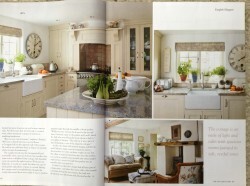 Described as an “oasis of light and calm” by the magazine, the house features a calming, pale palette of colours. Perched above the cooker in the Stevenson’s light, airy kitchen, our hand-painted Rye Vixen – decorated in a soft Coral sponge with gentle touches of Leaf Green and a Chocolatey brown – adds a subtle touch of colour. Here at Rye Pottery we have a special interest in the enthronement of the new Archbishop of Canterbury, Justin Welby, to whom we send our very best wishes. We’ve supplied the shop at Canterbury Cathedral with our ceramic figures and tiles based on Chaucer’s Canterbury Tales for more years than some of us like to remember!We also produce a special tile of the Thomas a’ Beckett Tomb for the Cathedral. 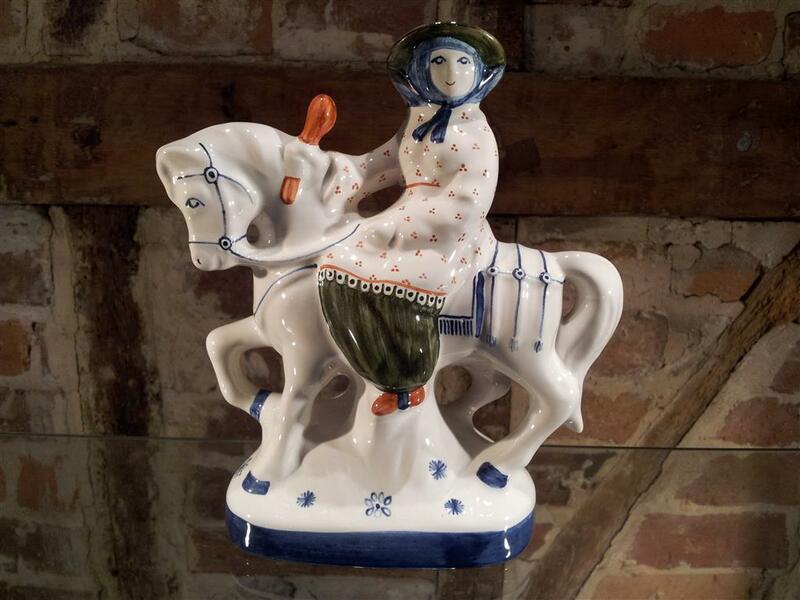 But what some of our collectors may not know, is that Rye Pottery’s figures from Chaucer’s Canterbury Tales were born from a request by Canterbury Cathedral for its gift shop in the early 1970s. Mr Steele who launched the shop, introduced us to sculptor and painter Gordon Davies and suggested we should work together to produce something featuring one of the pilgrims – The Wife of Bath. Discussions and then work ensued, and lo the Wife become the very first in a what is now a series of 38 ceramic figures based on Chaucer’s Pilgrims. And the rest as they say is history! Gordon went on to design our Rye Nativity too and in the year 2000, then Archbishop George Carey took a complete set of the Rye Nativity to Jerusalem as a gift to mark his Millennium visit. 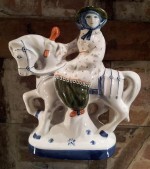 We recently heard from a Rye Pottery collector who had seen it on display out there but sadly his camera had failed him at the crucial moment. So we’ll always be grateful to Canterbury Cathedral and its inhabitants, not least to Mr Steele for introducing us to Gordon, who did a great deal of wonderful work at Canterbury over the years, as well for us here at Rye. Congratulations to our paintress Karen Wicking who’s become the proud wife and mother to an award-winning duo at Crufts! Karen is one of the brilliant paintresses who hand-decorates our figures, not least our animals and the recently returned Rye Pottery Hounds! 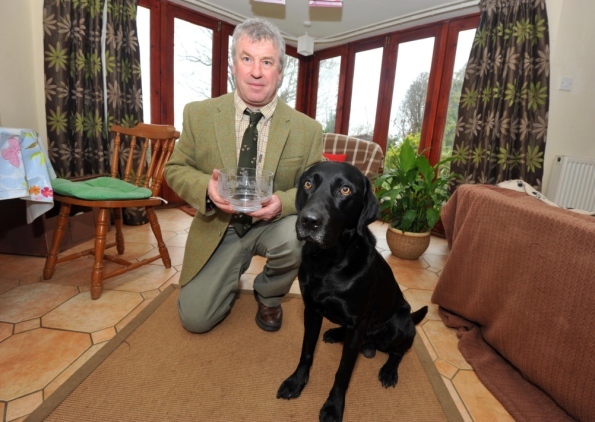 Karen’s husband Willie and the family’s 4 year-old Labrador Harvey scooped top prize in the the first ever BASC Chudleys Invitation Scurry at Crufts, after clocking up the fastest time in their class. For the uninitiated, a Scurry is a time event for Gundogs and their handlers where the animal has to retrieve a hidden object as fast as possible. To make it even harder, the object itself is hidden and various distractions are then deployed to put the poor dog off the task in hand. Organised by the British Association for Shooting and Conservation (BASC)14 dogs were competing, but fortunately there was no distracting Harvey or Willie and they secured the top slot. The pair are regulars on the Scurry circuit in Kent and Sussex – often winning we might add – and also competed in the Mitsubishi Motors World Series Gundog Championships in 2012. More than that, Karen and Willie’s 14-year-old daughter Alisha has amassed over 90 Rosettes working with Harvey at a host of country shows and fairs. And it’s all the more impressive when you know that Harvey is the first dog either Willie or Alisha have ever owned or trained, and Karen says that if it hadn’t been for Alisha, who begged them to get a dog in the first place, none of this would have ever happened. Next stop is a Cabinet to display all those trophies and Alisha’s Rosettes. Well, after they’ve fulfilled all their media commitments that is, not least in the latest issue of the The Rye and Battle Observer (click here for more). May we proffer a Mother’s Day tip? Well what a busy a week – on all kinds of fronts! We hope half term has been good for all our customers who are parents, grandparents and other lucky ad-hoc child-carers. So given many mums and grannies are already shattered, we can’t help but point out that Mother’s Day is fast approaching. 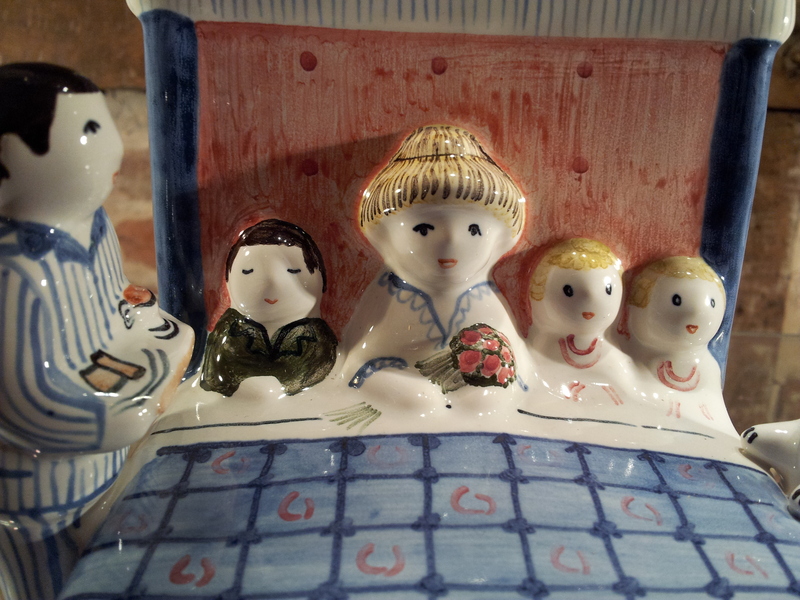 We reckon our sweet Naiive Mother’s Day figure has some pointers on what might go down well as a reward for all that hard-work that goes on during the year. piled in to their beautiful bed. Well, back in the day when we were actually small enough for a morning cuddle that is! In a new series on BBC2, Flog It Trade Secrets‘ presenter Paul Martin has been revealing the tricks of the trade and surprising things he has learned over his 11 years in television. Rye Pottery was pleased to be picked for inclusion in the latest programme, which was a touching tribute to the late antiques expert David Barby who died in July 2012, and was a pioneering television antiques expert, not least on Flog It. 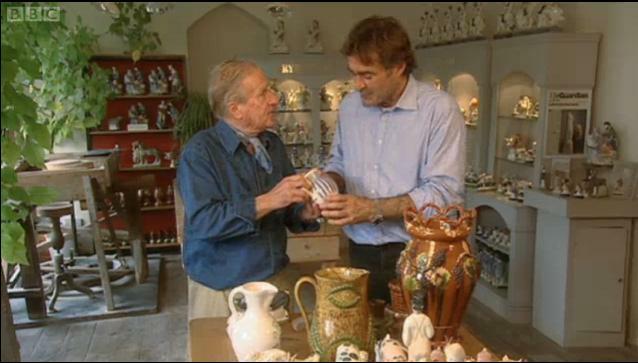 In the programme presenter Paul reveals: “I didn’t know a great deal about Ceramics [when I started in television], but what I do know now, David taught me”. It was because of David that Paul says he was first introduced to Rye Pottery. Interviewing Rye Pottery’s Tarquin Cole, Paul discusses the heritage, value and collectability of Sussex and Rye Pottery, not least Hopware, Sussex Pigs, and our Mid-Century Modern classics, contemporary versions of which are still produced by us today. 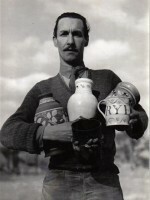 Tarquin took over Rye Pottery from his father Wally Cole MBE in 1978 and is widely regarded as an expert in valuing and dating early Sussex Pottery. 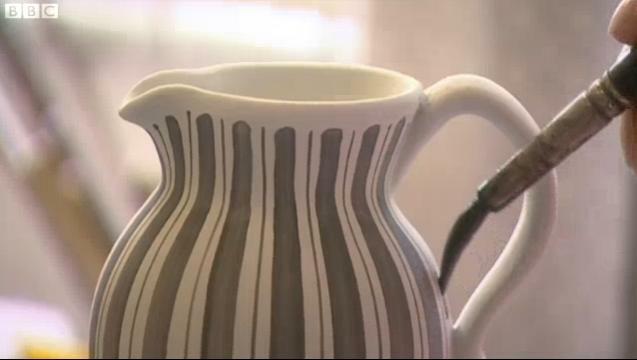 In the programme Paul also discusses Rye Pottery’s Mid-Century”Cottage Stripe” pattern, which has been in constant production since 1950. 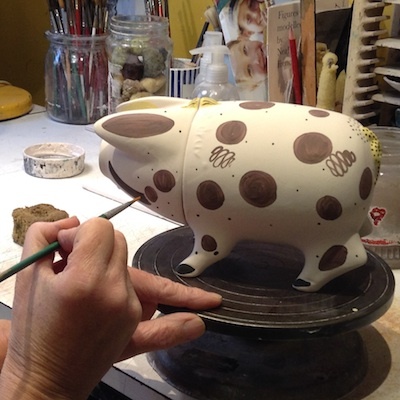 Examples of this design are included in the Ceramics Collections of both the V&A and the British Museum’s Geffrye Museum.Finally Paul braves an attempt at painting another of Rye Pottery’s pigs himself – one of our Sows! We use a very difficult technique that our accomplished paintresses spend years mastering, as the glaze has only just been applied and the slightest touch of a finger or too heavy a brush and the piece can be ruined. 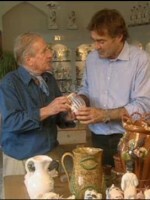 Flog It Trade Secrets featuring Rye Pottery aired on February 15th 2013 at 18.30 on BBC 2. You can watch the film on the BBC’s iplayer by clicking this link. 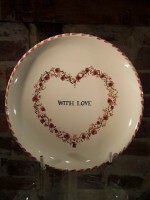 The section about Rye Pottery starts at 42.15 and ends at 48.07. 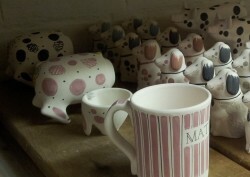 To be honest most of the roses we do here at Rye Pottery are more pink’ish actually. But well, our point is that there’s no getting away from it now we’re in February, Valentines is officially fast approaching. While we’re always prepared for the last-minuters among our collectors with Rye Pottery vouchers, we also have two charming themed window displays here at our base in Rye if you’re looking for inspiration. Walter Vivian Cole with Mid-Century pieces in hand! 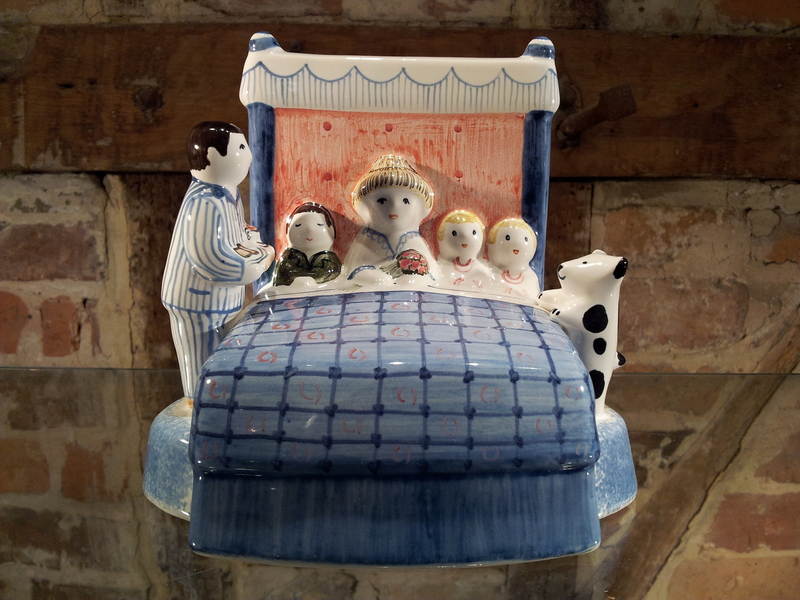 We are celebrating our own little anniversary here, as one of the founders of the current Rye Pottery – Wally Cole – would have been 100 today January 21st 2013. Whilst we reminisce, here are links to a couple of his obituaries so you can see how the national press remembered him in 1999. And a picture that even some of us have never seen. Whilst you are wrapped up in your winter woolies here’s a sneak peak of a new design we are working on for 2013. Part of our new all-white collection, this cosy coat is achieved with a decorating technique we call Tracery. I simply cannot believe I am already writing about January 2013, whatever happened to last year? 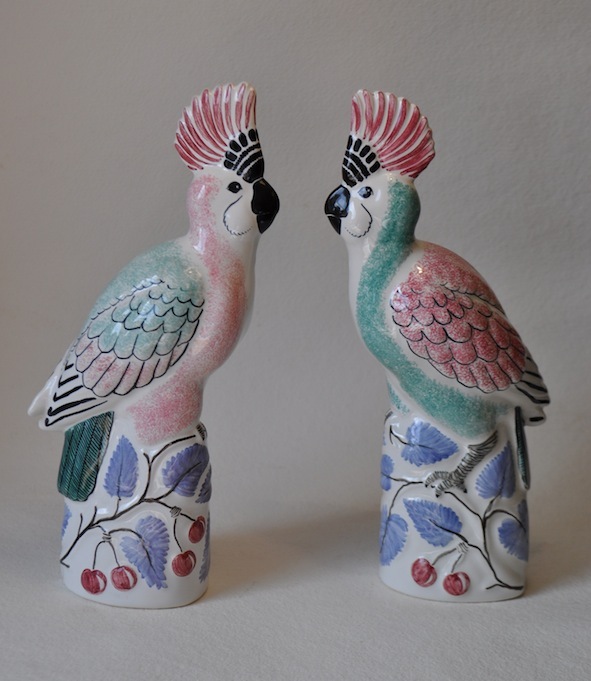 Tarquin and I thought we were about to retire and here we still are~ me in the office and him packing the kilns and painting tiles! Still the good news is that officially Josh and Tabby have almost taken over. They do a huge amount of the hard work now, while their vitality and enthusiasm is visble throughout the building, the shop and shop windows have really taken on a new lease of life with all their fresh ideas and thoughts. Wonderful for us oldies ~ especially in this centenary year of Wally Cole’s birth ~ to feel the third generation’s vibes and energy pulsing through everything, from where we make the coffee to what colourway shall we try next! KEEP IT UP BOTH OF YOU PLEASE! Talking of anniversaries and special dates ~ January 4th was the anniversary of Harold’s accession to the English throne in 1066, see our Bayeux Tapestry figures for more information.